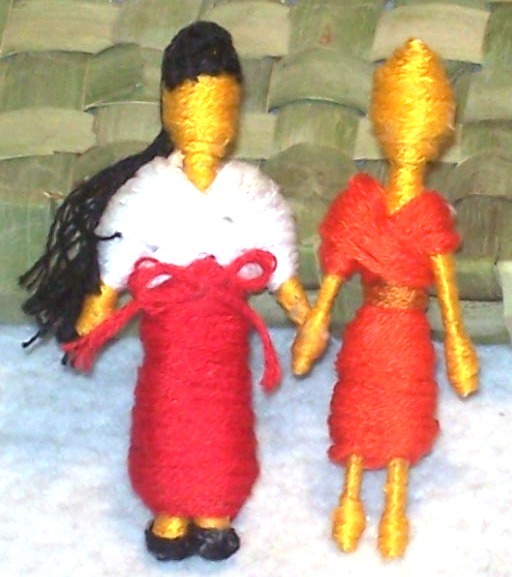 Worry Dolls are a traditional Guatemalan custom, but these have taken on a Japanese twist! 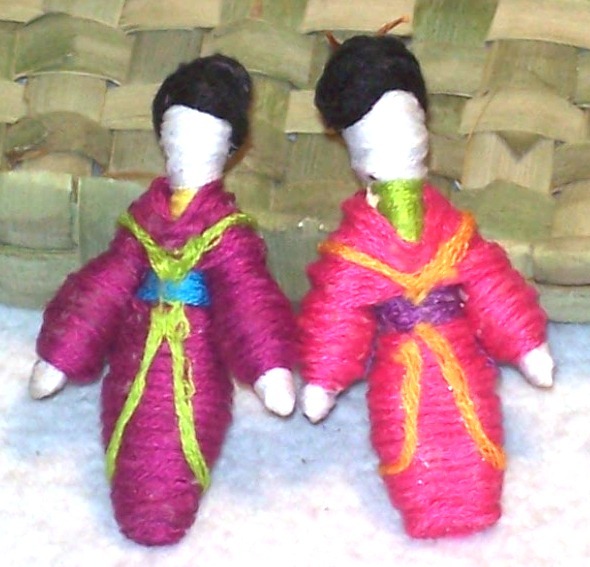 A popular children’s gift, worry dolls are commonly kept under pillows at night to ward off worries & anxieties. Customarily made with household items such as clothespins and bits of fabric, worry dolls are a great way to transform scrap materials into awesome works of art. When I was young I learned a worry doll technique using tooth picks and leftover embroidery floss. I feel using floss instead of fabric allows for more detail, both in terms of color & design as well as the actual contours of the figure. The faces are left blank so you can draw a smile on once the source or worry is gone! We also have Buddhist monks in their famous orange robes, as well as Miko (temple priestesses) with their customary red skirt and flowing hair. And last but certainly not least is their packaging. 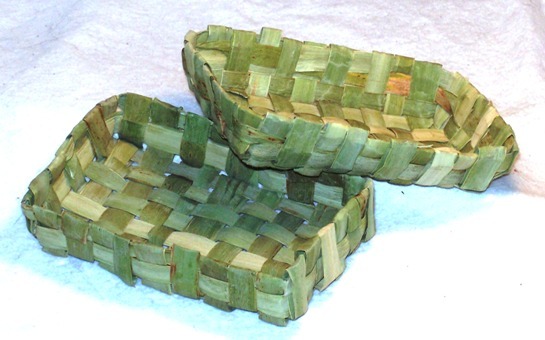 In brilliant emerald green, the “worry box” is hand-woven from cattails of northern Appalachia. These leaves were collected and dried personally, in a special dark room designed to retain the plants’ vivid color. Case & lid each measure about 2.5″ x 4″ and fit neatly inside one another. Water resistant and incredibly strong, this case is a perfect way to store your keepsakes, including your worry dolls! This entire collection is now available in my Etsy shop! 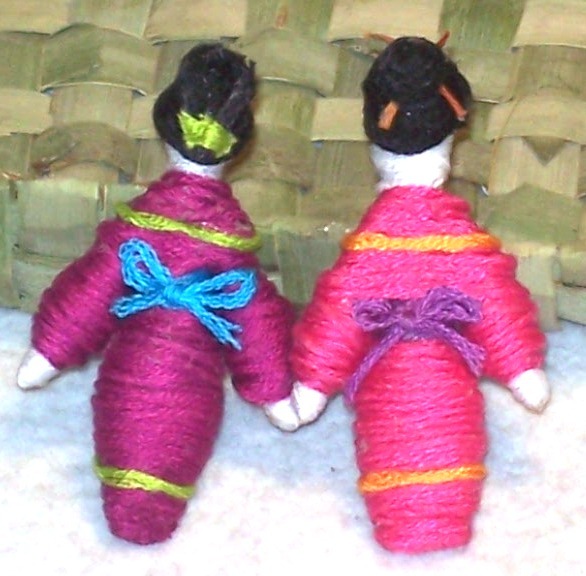 And of course, I am always happy to make custom worry dolls or cattail boxes – just ask! 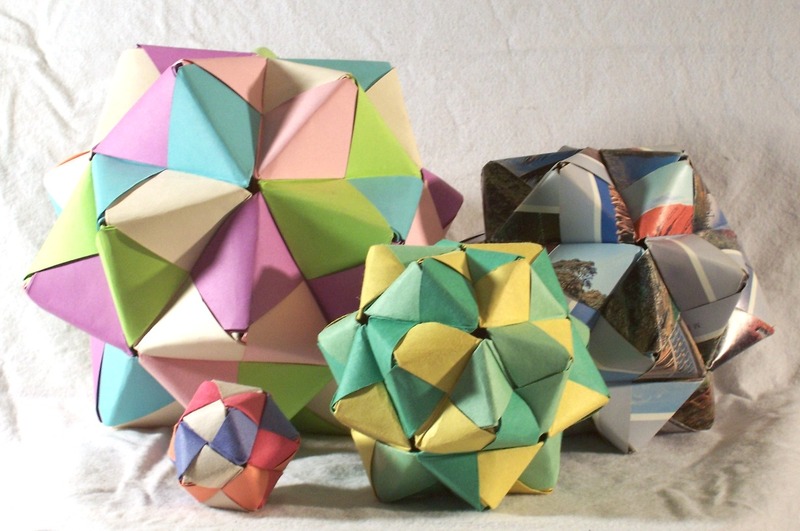 Although battling a severe bout of sickness, I thought I’d post some more informative material regarding the history and mathematics of modular origami. And seeing how many of my models are created using Sonobe modules or derivatives thereof, it felt a natural place to begin the discussion. According to origami lore, the Sonobe module was created by its namesake, Mitsunobu Sonobe, in the early half of twentieth century Japan. These parallelogram modules feature folds at 45 and 135 degrees, with two built-in pockets. Thanks to the tab-pocket system, shapes can be assembled and held together entirely without the aid of adhesive. It is due to this strength, along with the plenitude of shapes this modules can create, which has added to its longevity. Adding further to this design’s endurance is the virtually endless ways in which this module has been modified over the decades. Through the small adjustments of folds, brilliant color contrasts and shape differentiations are created. In fact, you’d be hard pressed to find a modular origami unit which does not in some way draw inspiration from the original Sonobe. So thank you for this ingenious fold, which opened the gateway for a whole genre of origami!